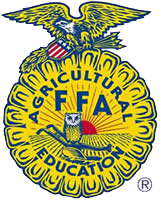 You are invited to participate in the 4-H/FFA Livestock Sale. This year’s sale will be held at the West End Fair’s Show Arena. All the animals are the product of a Union County 4-H’er or Mifflinburg FFA member’s livestock project. These youth raise their animals and exhibit them at the West End Fair. After the animals are judged and ranked, the animals will be sold. The Livestock Sale offers the unique opportunity for these youngsters to market their animals. it also provides incentive for the 4-H’ers and FFA members to expand their livestock projects and assist with future individual educational expenses. Benefits to the purchaser are in two areas. First, for the business, or individual, an effort is made to advertise and promote your involvement in this sale. Secondly, you as the buyer have the opportunity to purchase high quality local meats. Your final per pound bid multiplied by the animal’s weight will be your actual cost. Checks should be made payable to the Union County West End Fair and presented to the sale clerks following the sale. The names of individuals available to haul and care for the animals over the weekend will be available at the sales table. You will not be responsible for any hauling or feeding charges. Animals may be resold at a local auction with the proceeds mailed to you. Animals cannot be resold during or after the Junior Livestock Sale. If a buyer wishes to make a donation to any club, the buyer is encouraged to have either the local auction mail the check to the club or make a donation at a later time. Animals purchased for personal use will be transported to a designated slaughter house. Whether you would consider the purchase of a 4-H or FFA animal for advertising or for quality meat, you can be proud of assisting and encouraging the young people of Union County in a most worthwhile endeavor. For more information, please contact The Penn State Cooperative Extension in Union County (570-966-8194) or The Agriculture Education Dept. at Mifflinburg High School (570-765-8256).